IC Bus is a bus manufacturer located in the United States headquartered in Lisle, Illinois. The company is a wholly owned subsidiary of Navistar International Corporation. 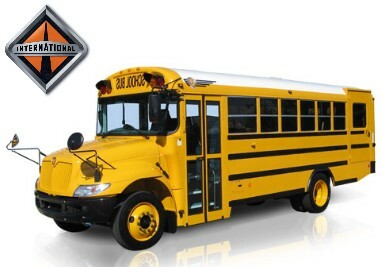 IC specializes in school buses, multi-function school activity buses (MFSABs), shuttle buses, and commercial transit buses derived from their school bus designs. IC Bus was established in 2002, as Navistar reorganized its subsidiary bus manufacturer American Transportation Corporation (AmTran). The company traces its roots back to the 1933 founding of Ward Body Works in Conway, Arkansas. IC is an abbreviation of Integrated Coach, which alludes to that the bus body, chassis, and engine are all produced within a single corporate structure. As IC is a Navistar company, all buses are produced with Navistar (International) chassis; all bodies are produced at the IC manufacturing facility in Tulsa, Oklahoma.